2017 marks 90 years since the foundation of the Australian Council of Trade Unions (ACTU). This anniversary is an opportune time to have a brief look at how Australia’s peak union body came into existence, and the role it has played since. There is no doubt that the ACTU was a product of the important struggles that were waged in the lead up to 1927. Its formation was also heavily influenced by the politics that dominated the trade union movement at the time. Those politics were forged in the decades preceding. A key formative experience was 1890s strike wave. Unfortunately, the 1890s strikes were defeated. 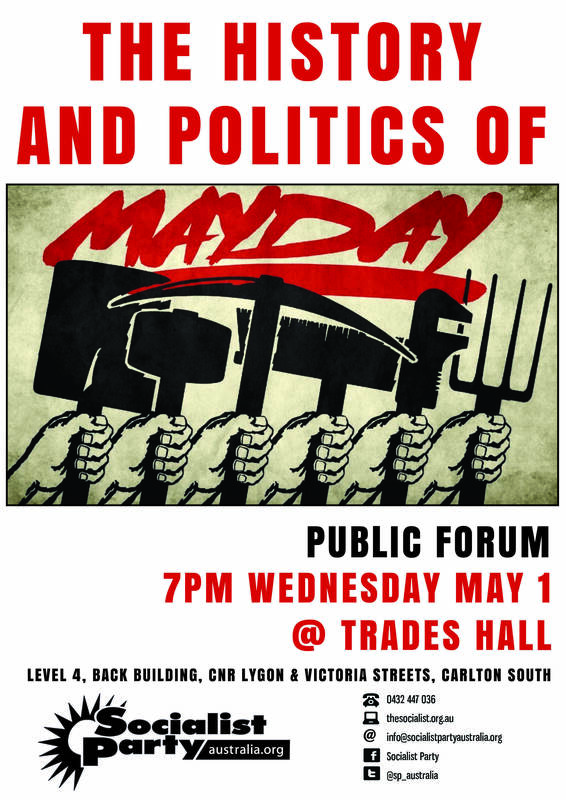 But the losses forced the peak union bodies that existed at the time (like the Sydney Trades and Labour Council and the Melbourne Trades and Labour Council) to turn towards politics. They helped to set up the Australian Labor Party (ALP) on the basis that workers needed to be organised, both industrially and politically. Alongside this development, in 1904, the Australian Conciliation and Arbitration Commission was established. ALP politicians became the strongest supporters of the use of compulsory arbitration in industrial disputes, seeing it as a way to manage the class struggle. The arbitration system meant that unions were to be recognised by the state. This guaranteed the organisational security of unions and gave some incentives to disorganised workers to form unions in the hope of an arbitrated wage determination. The 1907 Harvester Decision by Justice Higgins established the concept of a minimum wage for an unskilled male worker and his family. For a time, the arbitration system seemed to be working. On the basis of improved economic conditions workers were being afforded modest pay rises. While some socialists warned that this situation would change with the onset of a recession, they were in a minority at the time. Reformist politics that embraced arbitration dominated the trade union movement in the early part of the twentieth century. However, relative social peace was disrupted during World War One. Workers saw a decline of living standards and an increase in class tensions opened up. Real wages fell by up to 30%. The high point of struggle during this time was the 1917 Great Strike which drew in about 100,000 workers, mostly in New South Wales, but right along the east coast. The strike was the biggest seen since the 1890s, but unfortunately it too was defeated. One of the conclusions drawn from the defeat was need for greater unity, as it proved difficult to draw the many small craft-based unions into generalised industrial action. From about 1911 the revolutionary Industrial Workers of the World (IWW) had agitated for One Big Union (OBU) and in the aftermath of the 1917 strike the idea gained widespread support. An Australia-wide conference was held to establish OBU in 1919, but opposition from the Australian Workers Union (AWU), and the concern that some craft unions would lose their identity, saw it undermined. The defeat of the 1917 strike was a heavy blow for the labour movement, but by 1919 most unions had recovered. 1919 saw a massive strike wave unleashed with many workers seeking to recoup the losses suffered during the war years. Many gains were made and by 1920 over 50% of the workforce was unionised. 1920 also saw the foundation of the Communist Party and in 1921 even the ALP was forced to revise its outlook, adopting a socialist objective. A more militant mood was developing in the workers’ movement and the political level had been raised. Many saw the need to link the fight for better working conditions to the need for a socialist society. As part of this outlook, further attempts were made to form OBU up to 1923, but they were continually hindered by the AWU. Nevertheless, there was an objective need for the union movement to unify and to set up nationwide structures. So, while it was not modelled as OBU, the bulk of the unions in Australia agreed to establish the ACTU in 1927. This was a huge step forward opening up the possibility for more powerful strikes to be organised and for more of the wealth created to be won by workers. Reflecting the popularity of socialist ideas, at its inception the ACTU had objectives such as the socialisation of industry and the transformation of the trade union movement from one based on narrow craft unionism into one that was based on bringing workers together on an industry basis. In a way, the agreement to form the ACTU was a principled compromise between the competing trends of revolutionary and reformist politics. 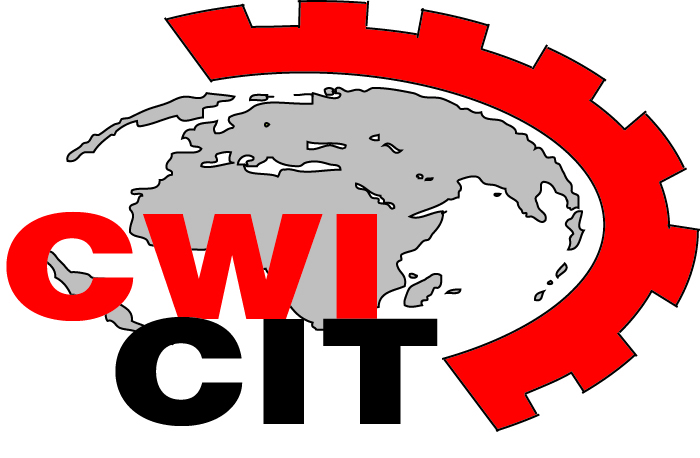 The Communist Party backed the ACTU from the beginning, seeing its formation as a step towards the establishment of strong industrial organisations that would be crucial allies in the fight for socialism. The Communist Party called the ACTU ‘a worker united front’. The 1930s saw the Communist Party grow in both size and influence. By 1945 the Communist Party had 23,000 members and amongst others, they led the Miners Federation, the Waterside Workers and the Seaman’s Union. They effectively influenced 40% of all trade unionists. Communists were prominent in strikes and refused to be bound by arbitration alone. Perhaps the height of communist influence in the unions was the 1949 coal strike, a showdown between the Chiefly ALP government and the communist-led Miners Federation. The government used the army to break the strike and the ACTU acquiesced on the grounds that it was a ‘political’ strike. While the Communist Party overstated the possibilities, the pro-ALP figures within the ACTU saw it as an opportunity to stem their rise. The defeat of the 1949 coal strike was a blow to the communists and the beginning of their decline. 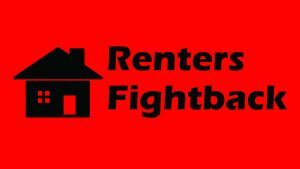 In the aftermath of the loss, it became clear that while a national union federation is a potentially powerful body, in the wrong hands it can also be used to inflict serious amounts of damage on the movement. As the ALP tightened its grip on the ACTU this was certainly seen many more times. Under the influence of the ALP there was somewhat of a turn away from strike action and on-the-job organising. Despite the prolonged period of economic growth, union membership fell from 65% in 1948 to 50% in 1971. In the 1970s, membership did rebound due to an expansion of white-collar unionism but also due to a growing militancy among women workers. In 1972, the arbitration courts ruled on equal pay for equal work, a decision covering 1.8 million women workers. While reformist politics dominated the ACTU the tradition of class struggle still left a legacy. Workers still understood the benefits of industrial action, and there was an ongoing battle of ideas during these decades. In the 1980s however, reformist ideas were cemented into the union movement in a way not previously seen. An Accord between the ACTU and ALP was developed in an attempt to solve the capitalist economic crisis of the 1980s. In essence this Accord capped wages while allowing profits to skyrocket. The economic crisis was overcome, but at the expense of the working class. At the same time the Accord significantly destroyed the capacity for unions to take industrial action. Unions like the Builders Labourers Federation and the Pilots Federation that opposed the Accord were crushed. In both instances the police and military forces were used to break the unions. In both instances, the ACTU also played a role isolating the ‘rogue’ unions. The reality was that the neoliberal agenda was being implemented by both the ALP and the ACTU. The Accord paved the way for the Howard government’s agenda in the late 1990s and the implementation of enterprise-based bargaining, an attempt to undermine the strength of industrial unionism. While the ACTU was first set up to strengthen the movement, in the hands of the ALP it has been used as a tool to ruin it. Today the ACTU is a shadow of its former self. While it still encompasses about 1.8 million members, under the ALP’s control it is hardly ever used as an industrial instrument any more. Today the ACTU leaders see the organisation primarily as a campaigning organisation to be mobilised for ALP election campaigns. The impacts of the ACTU-ALP Accord have been felt deeply. Wages as a percentage of the economy have decreased while profits have ballooned. Strike action, which is discouraged by repressive laws, is now at an all-time low. The old union structures, such as delegates’ networks and committees, have withered on the vine. The Accord shifted immense amounts of power away from union activists to union bureaucrats. As a result, union membership has now collapsed to around 15% of the workforce. The situation is dire. It is clear that at certain times in Australian history the trade union movement has been a formidable force. 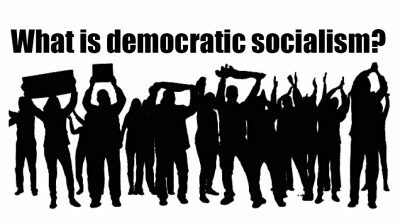 There is a direct correlation between the strength of the trade unions and the influence of socialist ideas. The union movement grew on the back of class struggle politics and the foundation of the ACTU itself was an expression of those ideas. 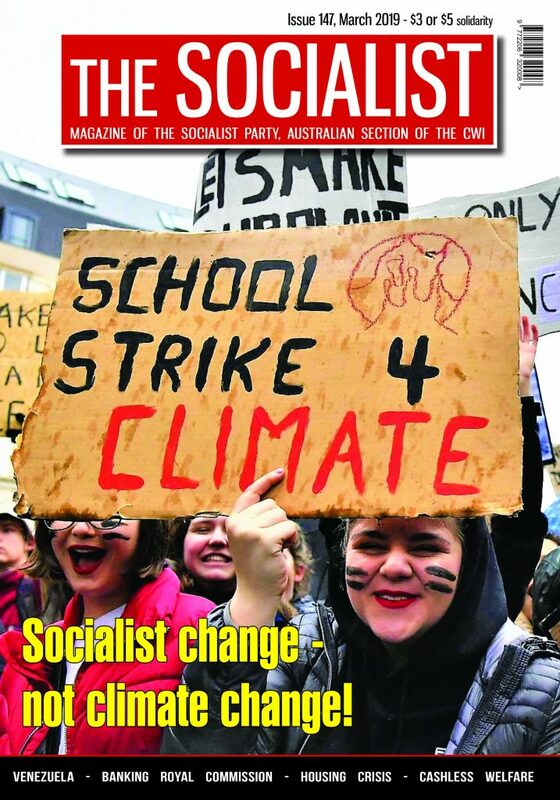 The huge potential that the ACTU had was squandered, at first by reformist politics, and now today by people in the ALP who openly accept the capitalist order. There is a desperate need to rebuild the trade union movement. To do this however will require the re-winning of workers to the ideas of socialism and militancy. On the basis of class struggle politics, the unions could once again be seen as relevant and play a role in closing the huge wealth gap that exists. The potential exists for the ACTU to fulfil its initial aims, and to be transformed into a powerful body. The first step is a political struggle against pro-capitalist and reformist ideas, and to prove that class struggle gets results. The political struggle will become easier as the bankrupt ideas of the ALP come up against the limits of a capitalist system that is lurching from one crisis to the next. Public transport: Kick out Connex! Cuts to welfare not necessary, tax the rich instead!